Eric Bischoff's been using it as a failsafe during the occasionally-excellent '83 Weeks' podcast with Conrad Thompson, but unlike in several of his needlessly defensive missives, he's bang right when he notes that "context is king". He refuses and rejects countless reasoned arguments made by Conrad (particularly as pertains to Dave Meltzer and The Wrestling Observer) during their debates, but does have lived experience on his side. Context - particularly the context he spins for his own benefit - is king. Context controls the criteria of this list. This list will use drawing power, match quality, longevity and overall credibility whilst holding what has long been considered the industry's "richest prize" and - where possible - avoid recency bias. Just because the footage is in black and white, it doesn't mean the champion didn't mean green at the box office. A final one for the pedants (of which your writer often is) - this is exclusive to WWE/F World Heavyweight Champions only. 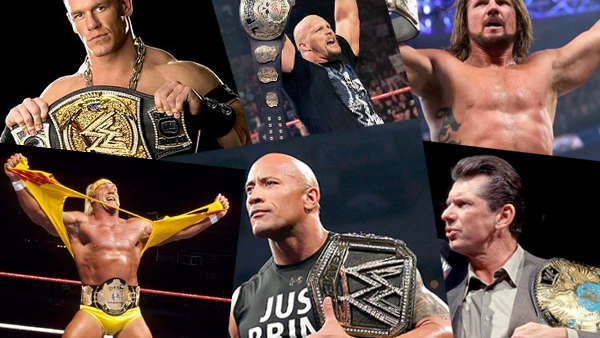 The Universal and World Titles have both been considered as prestigious at various points, but the belt with the lengthy lineage will always be the one that carries with it the in-built gravitas and respect of the past-holders.